Youre a seasoned product marketer with experience launching & growing SaaS self-service products. You understand developershow they think, work, communicate. Youre smart & get things done. Analytical & creative. Collaborative & independent. You work well with cross-functional partners. You gather & leverage the insights of users to create compelling product messaging that shapes their experience & influences their decisions. You will be the Senior Product Marketing Manager of Stack Overflow for Teams. Your job is to serve developers by growing sign-ups for Stack Overflows private Q&A product for small to medium-sized companies. You will also work with a cross-functional team of product managers, designers, UX, & developers to evolve Stack Overflows flagship public Q&A experience. Partner with Product, Content, & Digital Marketing to identify & execute effective strategies for increasing traffic to Stack Overflow for Teams. Monitor the end-to-end funnel (traffic, sign-ups, trial conversions, renewals), identifying opportunities to optimize conversion at each step of the funnel & working with the Product Manager to implement your recommendations. Conduct user & customer research to uncover rich insights to inform product decisions & messaging. Develop, manage, & execute the go-to-market playbook for new products & features, collaborating with Product, UX, Marketing, & executive stakeholders to determine effective launch strategies to drive trial, engagement, & customer happiness. Create product narrative & positioning to distinguish Stack Overflows offering from alternatives & adapt core messaging for web & email copy. Partner with Product & Community Management to build new features & increase engagement on stackoverflow.com. Establish domain expertise: Develop a deep understanding of how developers use Stack Overflow for work & what their needs & pain points are. Determine, measure, & report on KPIs for all of your initiatives. 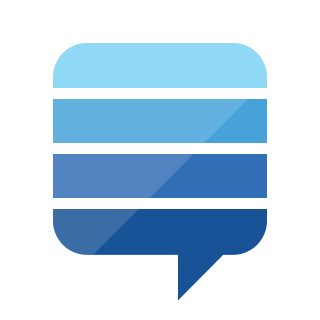 Stack Exchange does not discriminate in employment matters on the basis of race, color, religion, gender, national origin, age, military service eligibility, veteran status, sexual orientation, marital status, disability, or any other protected class. We support workplace diversity.